How To Give Benadryl To Kids? Kids are quite vulnerable to coughs and colds, a rather unfortunate side effect of their developing immunity. As a parent, it’s your responsibility to ensure your kid takes the right medication to cure a cold. When your kid suffers from a cough or cold, many pediatricians prescribe Benadryl, a common medication, to kids. 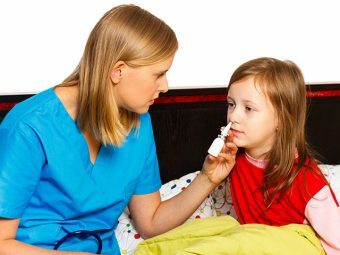 If your pediatrician has recommended that your kid take Benadryl, but you remain unsure of the dosage, read our post below and clear all your doubts regarding ‘Benadryl dosage for kids’. Benadryl or Diphenhydramine is an antihistamine, which has been approved by most health and medical departments to treat common viral infections including itching, swelling, rash, runny nose and sneezing along with an allergic reaction. The active ingredient in Benadryl might differ according to different countries. In the United States and Canada, Benadryl contains Diphenhydramine whereas, in the United Kingdom, the active ingredient in Benadryl is Cetirizine, a form of non-sedating antihistamine or antihistamine, acrivastine (1). Benadryl in New Zealand and Australia does not contain any antihistamine, and the doctors prescribe it only as a cough medicine. Diphenhydramine is a common ingredient in most multi-ingredient remedies for cold and cough. However, many of these medications are not safe for kids, and you need to avoid their use (2). Benadryl can trigger allergic reactions and drowsiness in children, and most reputed caregivers advise against its use only for kids above one year. Benadryl prevents allergic histamine action and helps recovery. It alleviates allergic symptoms that occur due to histamine action (3). If you are scared that your kid might choke on tablets, don’t be. Benadryl is available as chewable tablets, liquid formulations. It is important that you know about the components present in Benadryl, and what is the right Benadryl dosage for children, and what side effects it can trigger. Here is a detailed overview of how Benadryl’s primary ingredient works, and what precautions you need to take while administering it. The body produces histamine as a part of its defense mechanism, which is stored in mast cells and in almost all the tissues in the body (4). When an allergen or any foreign substance, such as a flower pollen invades the body, it stimulates the allergen and release the histamine stores. It leads to an allergic reaction. In case your child has hay fever, the histamine leads to inflammation of eyes, nose or airways. It can also cause itchy, watery eyes, sneezing, a runny nose and nasal congestion. The Diphenhydramine or Cetirizine in Benadryl blocks the H1 histamine receptors, but cannot prevent mast cells from releasing the histamine. But, it can inhibit the histamine from binding to the receptors (5). The release of chemical allergens prevents the blood supply to that particular area reduces, and it eases the typical hay fever symptoms. Perennial allergic rhinitis or nasal lining inflammation that recurs all through the year. Suppressing coughs, inducing sleep, treating motion sickness and treating early or mild symptoms of Parkinson’s disease. If your child has taken a Monoamine Oxidase Inhibitor (MAOI) such as Phenelzine (Nardil), Isocarboxazid (Marplan) or Tranylcypromine (Parnate), you should avoid giving him Benadryl, as it can trigger a violent reaction and serious health problems. In the case of any of the above conditions, you should avoid giving your kid Benadryl. Although Benadryl comes in the FDA pregnancy category B and hence is safe enough even for an unborn baby, you should avoid using it without the recommendation of your doctor (8). The first thing that most parents need to understand is that the dosage of Benadryl does not depend on your child’s age. Rather, your child’s weight will decide the correct dosage to be administered. Here is Benadryl kids dosage chart for the reference. You must avoid the use of Benadryl tablets for young kids. Use the liquid formulation to reduce the risk of choking. Ensure that you follow the guidelines above for the dosage or as advised by the physician. An overdose of Benadryl can trigger slower respiration or lower heart rate in small children. Administer Benadryl at the interval of every six hours and only four times in 24 hours. Kids under the age of three, require a doctor’s supervision for treating with Benadryl. Always check the label on the medication properly before Benadryl usage for understanding the concentration amount. Use the measuring device that comes with the medication to measure the dosage and avoid using teaspoon that you use for food purposes. Also, avoid using medical devices that come with other medications such as antibiotics or Tylenol and strictly use only those measuring devices that come along with the Benadryl formulation bottle. If you are using Benadryl in children for the first time, keep a close watch on the behavior. If you find him sleeping excessively, or his breathing slowed down with lowered responses, immediately consult your physician. Benadryl does not have any proven effect on cold symptoms, and hence, you should avoid giving it to treat cold symptoms in children under four years old. Always use the chart to understand the child’s weight and Benadryl dosage equation. Remember that a proper dose is always below the weight of the child, according to the strength of the product. Make sure that you check the strength of the Benadryl product and use the cup or syringe that come with it only for measuring. Each drug has its healing properties, but when used with other medications, many drugs can disrupt treatment or even lead to serious side effects. Hence, it is rather important that you make the pediatrician aware of the different other medicines that you are giving to your kid. It will help him decide whether he can prescribe Benadryl or not. Such medicines also include any herbal or therapeutic medicines that you regularly give to your child at home. Make sure that the combination of medications is safe and only then start the use of Benadryl because the antihistamines in Benadryl cause opposing effect on histamine used for treating leukemia. Antihistamines also have a tendency to oppose the betahistine effect prescribed for treating Meniere’s disease (9). Other medications causing drowsiness or excitement such as Chlorpromazine, Loxapine, Gabapentin, Zopiclone, Quetiapine, Mirtazapine, and Chlorpromazine. Thus, when two drugs interact with each other, it does not mean that you must stop the medication immediately. Instead, you the doctor will arrange the dosage in a way that there are no drug interaction side effects. Just as all the medicines, Benadryl can too cause side effects in kids. Here, we list some common side effects of Benadryl in Children. But, you must keep in mind that just because we mention so many side effects in the list, it does not mean that your child will necessarily get them. Depending upon the age and strength of your child if you continue to use Benadryl you may never have any problem with the medicine. Studies suggest that Benadryl can affect the nervous system (10). The side effects include drowsiness and sedation accompanied by depression. In some children motor skills can become impaired, whereas in some cases, even a single dose of diphenhydramine, one of the most active ingredients in Benadryl can cause dystonic reactions. Benadryl’s diphenhydramine cause the CNS depressant effects paralleling the plasma concentrations. The threshold for sedation for the plasma concentration is 30 to 42 ng/ml and if it reaches in between 58 to 74 ng/ml, it can lead to child impairment. The dystonic reactions include mental confusion, dizziness, tongue and lip protrusion, rigidity, torticollis, trismus, and difficulties in swallowing. These conditions resolve spontaneously. Benadryl dosage can cause toxic encephalopathy in kids with chicken pox. In rare cases, even a small oral dose of diphenhydramine caused mild dementia or delirium. Benadryl can lead to photosensitivity reactions and hypersensitivity side effects, including eczema, pruritus, and rash (11). In children prescribed the systemic drug, hypersensitivity is common. Benadryl can cause side effects such as dry mouth and nausea. Cardiovascular issues include tachycardia, hypotension, and palpitations. Genitourinary side effects include dysuria and urinary retention that lead to anticholinergic effects caused by diphenhydramine. Ocular side effects include dry eyes, diplopia, and blurred vision. Benadryl can cause hematologic side effects, including thrombocytopenia, hemolytic anemia, and agranulocytosis. Although most of the side effects of Benadryl have been covered these may not include all the side effects that affect the children across the world (12). 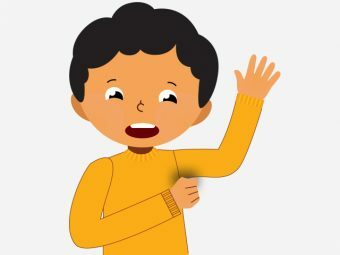 Moreover, the side effects and reactions to the medication also depend upon the weather, surrounding conditions and immunity of the child and hence may differ from one child to the other. Remember to take your child to the doctor if you feel he suffers from such side effects. If his condition seems to severe, seek immediate medical aid, as any delay can be dangerous for your little one. You must not use diphenhydramine for treating kids, as young children are at a higher risk of experiencing side effects than slightly older kids. An overdose of antihistamines such as diphenhydramine or Cetirizine can cause convulsions, hallucinations or death in little kids, and you need to exercise caution when using Benadryl. Antihistamines can also lower the mental alertness in children and very small children; it can produce excitation or hyperactivity (13). You should not give Benadryl along with any alcoholic drug, for example, Doctor’s Brandy to the children or it can cause excessive drowsiness and lower the pulse rate. 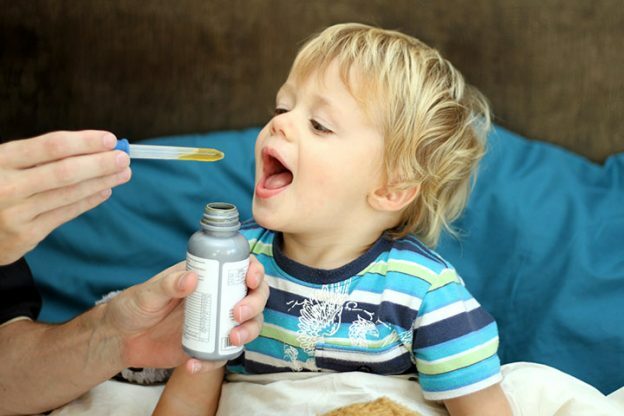 Should You Sedate Your Child With Benadryl? Is It Safe During Travel? 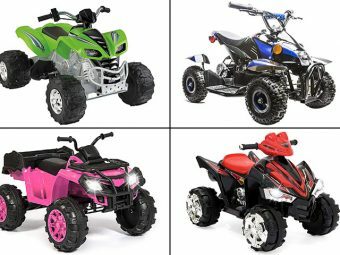 Young children and kids cannot tolerate long trips and travel. They can be more than a handful to tolerate when you are out on the road. They cry, wiggle, scream and want to run around freely. At times, it becomes difficult for you to deal with these issues, especially when you are a single parent or there is, at least, one more child that needs attention. An alarming statistic shows that recently, many parents admitted to using Benadryl for keeping their kids quiet as the medication has a drowsy effect on children, especially when have to make trips for longer periods via airplane, car or public transportation. It is an ethical question that depends solely upon the parents whether to do it or not and if health is the priority, the decision should be taken only after checking whether sedating your kid with Benadryl is safe or not. Many parents use Benadryl as a sedative medication to ensure that their kids sleep through during the travel period. Drowsiness or sedation is one of the side effects of Benadryl in kids who have never had the medication before or do not have a safe history with Benadryl. But, it can be a rather dangerous thing to do and possibly trigger hyperactivity. It may also lead to conditions including irregular heart rate, low respiratory rate, elevated blood pressure, and seizures. According to Dr. Harvey Karp, America’s leading kid, toddler and sleep expert, and creator of the Book and DVD, “The Happiest Toddler on the Block” and “Happiest Baby’s Guide to Great Sleep” Benadryl does help induce sleep in kids and can be helpful during long-distance travel (14). He says that almost all babies that are born after nine months completion are born three months before they are ready to be in the world and hence the first three months is the fourth trimester. But, since kids are not the little cave dwellers, they will feel like running here and there and up and down the plane aisles. Karp says. Instead, you should keep lots of treats and toys that you can give them at different stages during travel and only reveal these sweets one at a time to keep them engaged. Moreover, as a parent of a kid, you must be prepared to run around and walk along with the kids as long as they want. If at all you wish to give Benadryl to the child, you should make sure that he gets ample sunshine on waking up so that his sleep hormone-melatonin in the brain regulates and the child will get back to his sleeping and waking up routine fast (15). 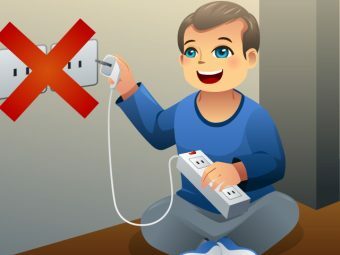 Make him play with dim lights an hour before going to bed so that his body can adapt to the new time zone if you are traveling overseas. The allergic reactions are much more serious as compared to the side effects and hence in case of severe allergies, doctors may prescribe it as medication, but the use of Benadryl as a sedative can be like inviting much more serious side effect than the allergic reaction. You must make sure that the babysitters or the daycare providers do not give Benadryl for sedation and making them sleep as many such cases have happened in the past that could eventually harm the baby’s development and overall health. Benadryl is a common formulation used around the world for treating allergies. It is safe for kids, and if used in consultation with the caregiver, you can easily give it to children above two years of age. However, the main problem arises when you try to sedate or calm down your hyperactive child by giving him an extra dose of Benadryl. Although the side effects may not surface immediately, the overdosing of Benadryl can cause long-term problems, especially regarding the mental alertness and memory of the child (16). Moreover, with the cases of overdosing the toddlers and the small children from the babysitters and the day care house cleaners coming to the fore, parents should avoid putting the formulation in the hands of such people. They should ensure that they give the Benadryl medication to the baby with their hands using the same measuring device that comes along with the liquid formulation. Every child is different, and his response to a particular dose of medication can differ. The same holds true for Benadryl, and your kid can respond differently to the same amount of Benadryl from other children. It is why, whenever you give Benadryl to him, you must monitor the initial reactions and responses, check out frequently whether he is too sleepy or unresponsive and accordingly adjust the dosage. As a parent, you should never try to compromise on the dosage of Benadryl just for the sake of keeping the child quiet when you are traveling or doing some important work (17). Did you use Benadryl for your kid? How did it help? Tell us here.